Island Air has begun offering Web-based check-in and self-check-in kiosks to expedite travel for customers. The services are provided by Kinetics, a subsidiary of NCR Corp. Web check-in allows passengers to check in and print their boarding passes online. Self-check-in kiosks began operating earlier this month curbside at the commuter terminal at Honolulu Airport, as well as at the check-in counter. Self-check-in kiosks will be provided at Kahului Airport on Maui and Kona Airport on the Big Island in the next three to four weeks. The kiosks allow passengers to access their itinerary, check in, check luggage and print boarding pass by using a credit card. » McNeil Wilson Communications Inc. has promoted Keith DeMello to senior account supervisor of its corporate/public affairs division. He most recently served as account supervisor. » The Hyatt Regency Maui has appointed John Hernstat sales and marketing director. He will be responsible for developing and overseeing the direction of his sales team, and working to grow leisure and group convention sales for the Kaanapali property. He previously worked for the Hyatt Grand Champions Resort and Spa in Indian Wells, Calif.
» First Hawaiian Bank has promoted six senior vice presidents. John Fujimoto has been appointed acting chief internal auditor, replacing George Lumsden, who retired. Brent Helgeson, dealer center division, has been promoted to senior vice president. Iris Matsumoto, human resources division, has been promoted to senior vice president. Kristi Maynard, senior vice president and manager of the treasury and investment division, has been appointed bank treasurer. Carl Tadaki, Kapiolani Banking Center team leader, has been promoted to senior vice president. And Glenn Wachi, Kapiolani Banking Center team leader, has been promoted to senior vice president. » Hawaii Financial Services Association has elected its officers for 2006: Bernadette Sakoda, president; Al Tanaka, vice president; Paul Tamashiro, secretary; Marvin Dang, treasurer/executive secretary; Roland Casamina, immediate past president. » The Collection Law Section of the Hawaii State Bar Association has elected its officers for 2006: Steven Guttman, chairman; David L. Monroy, vice chairman; David C. Farmer, treasurer; Thomas J. Wong, secretary; Marvin S.C. Dang, immediate past chairman. 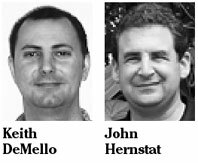 » The Appraisal Institute's Hawaii Chapter has elected its 2006 officers: Scot J. Voronaeff, president; J. Michael Chun, vice president; Robert C. Hastings III, secretary; Hugh M. Howell, treasurer. SAN FRANCISCO » After a short burst of success, Gap Inc. is once again mired in a deepening sales slump with little reason for optimism -- an uncomfortable position similar to the distress that prompted the clothing retailer to shake up its leadership nearly 3 1/2 years ago. Now, Gap CEO Paul Pressler -- the man hired to lead a turnaround -- finds himself on the hot seat as he tries to appease investors disillusioned with the dismal earnings and outlook that the company released after the stock market closed yesterday. Wall Street punished Gap for the letdown, shrugging off the news that the company would raise its annual dividend by 78 percent to 32 cents per share. Gap's shares fell 4 cents to close at $19.10 on the New York Stock Exchange, then shed $1.09, or 5.7 percent, in extended trading. BIRMINGHAM, Ala. » HealthSouth, which runs a chain of outpatient rehabilitation hospitals, said yesterday that it had agreed to pay $445 million to settle investor lawsuits filed after federal investigators uncovered accounting fraud at the company. Under the terms of the agreement, which is subject to approval by the federal judge overseeing the case, HealthSouth's insurance carriers will pay stockholders and bondholders $230 million in cash. The company will pay the remaining $215 million with common stock and warrants. In addition, the plaintiffs will receive 25 percent of any future judgments the company receives from Richard M. Scrushy, its former chief executive; Ernst & Young, its former auditor; and UBS, its former investment bank. The company admits no wrongdoing, and all executives who have not pleaded guilty or been accused of a crime are freed from liability. Toll Brothers Inc., the largest U.S. builder of luxury homes, said fiscal first-quarter earnings rose 49 percent, the smallest gain in seven quarters, as the housing market slowed from 2005's record pace. Net income for the quarter ended Jan. 31 climbed to $163.9 million, or 98 cents a share, from $110.2 million, or 66 cents, a year earlier, the Horsham, Pa.-based company said yesterday in a statement. Toll's shares rose 3.2 percent after it trimmed its 2006 earnings forecast by less than some analysts anticipated. LAS VEGAS » Wynn Resorts Ltd., the casino resort company operated by billionaire Steve Wynn, said yesterday that it lost $11.4 million in the fourth quarter, as it booked one-time charges for its resort in Las Vegas and for another being built in Macau. 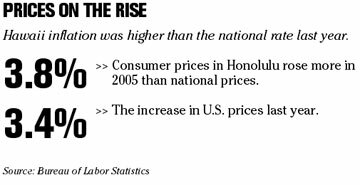 The result compared with a loss of $127.7 million in the same quarter of 2004. Excluding $16.5 million in charges, the company earned $5 million, or 5 cents a share, compared with $12.8 million, 15 cents a share, the previous year. Revenue for the period ending Dec. 31, came in at $269.4 million, boosted by $131.9 million in net gambling revenue from the company's Wynn Las Vegas casino and $177.2 million in non-gambling sales. KANSAS CITY, Mo. » After a less-than-satisfactory year for company profits, directors of restaurant operator Applebee's International Inc. have decided not to tip the chief executive. The Overland Park, Kan.-based company reported yesterday that Lloyd Hill, who also serves as chairman, will not receive an annual bonus after the company reported an 8 percent decline in annual earnings. The company reported its results earlier this month. Hill, who has announced he will step down as CEO this summer, was eligible for up to $1 million in bonuses. "We walk the talk when it comes to pay-for-performance," spokeswoman Laurie Ellison said. China is making "preparations" to allow its tourists to visit Taiwan for the first time since the two sides split in 1949, a mainland government official said. Chinese government officials and directors of the country's largest travel agencies completed trips to Taiwan in October to inspect tourist infrastructure and meet representatives of the island's tourist industry, helping to advance the approval process, said Dai Xiaofeng, the State Council Taiwan Affairs Office's director of cross-Strait communications. "We were warmly welcomed and were touched by the reception we received," Dai told reporters in Beijing today. "This was an important step" in allowing the resumption of mainland tourist visits to Taiwan, he said.